How To Create A Persistent Live Linux Bootable Device | GUI Tricks - In Touch With Tomorrow! How To Create A Persistent Live Linux Bootable Device - GUI Tricks - In Touch With Tomorrow! Linux has evolved as a famous choice for an Operating system, it is free to download, easy to install and simple to use. Unlike windows there are hundreds of versions of linux available. These are created by several different groups all of them who collaborate together to form one of the biggest developers community in the world. Versions such as Ubuntu, Fedora etc are used by billions of users in the world. 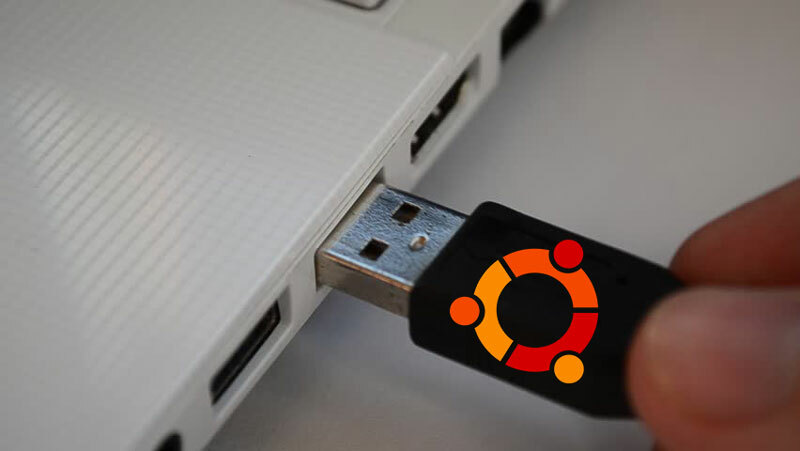 One big feature of Linux is that it can be run from a portable device such as USB pen drives, DVDs etc. Such devices are called windows live devices. These devices are plug-n-play devices, meaning you can just insert it into a device, boot into it, and use Linux. These can be created easily. But one problem with the live devices is that a typical live USB device is volatile. It will not store any data and none of the user data gets saved. Every time you boot into it, the OS will be fresh as new. This means that user will have to install applications on every boot. This is why creating a persistent storage is a useful thing to do. Creating a persistent storage will create a Casper-rw file in the live device that gets mounted every time your PC boot up. On layman's terms, this file acts as a Hard Disk for your Live USB. Also, check free unblocked movies. In today’s tutorial, we will teach you how to create a persistent Linux bootable live device using both Ubuntu and Windows. Plug in the USB device or Optical disk. Click on the unity search button or open it by pressing the windows/super button in your keyboard. Now open the app named “Startup Disk Creator”. If the app is not already installed, run the following command in the terminal Sudo apt-get install USB-creator-gtk This will install the “Startup Disk Creator” on your device. On the topmost part is the option to choose the Linux distribution iso image. This is the part where you choose which Linux OS to boot into. Click on the other button and choose the iso image from your storage. Next step is to choose the USB device to boot from. There will be a list of all the devices currently connected, along with the memory capacity and free space. Make sure you choose the correct USB device or optical disk. Click on the erase disk button. On the bottom, you can see a couple of radio options and a slider. Choose the first radio button and move the slider to the right. This is the part where you choose how much persistent storage should be present in the device. The maximum is 4GB. Finally, click on the button that says “Make startup disk” to start the process. The process will take more than 10 minutes. So be patient and don’t remove the device until the program does it’s work completely. Do check game killer. We will be making use of a free and open-source software called LinuxLive USB Creator to get things done. Google the name, download the exe file and install that software. It is a small app of just 6MB in size. You will also need the Linux ISO file. An ISO file is the main image file of any OS. Download it from the official sources and make sure it is the correct version suitable for your computer. Once you download both of these, the installation should be pretty simple and easy. Plug in the USB device or insert the optical disk to your computer. Open the Linux live creator app. On the first step that says “Choose your key”, select the USB device that you would like to use. On the second step that says “Choose a Source”, select the ISO file that you downloaded in the third step. On the third step that says “PERSISTENCE”, choose the amount of storage you would like to add as the persistent storage. The maximum is 4GB and it is advised to use that. Skip the fourth step and on the last step click on the lightning icon. The process will take some minutes to finish up, be patient until you see the “Your LinuxLive key is now up and ready!” message. You can now use the USB device to boot into Linux. So these are the tried and tested methods to a create a persistent Linux USB bootable device. Comment down your queries as well as suggestions.